THE 2016 Geneva Motor was a celebration of the flamboyant, the ludicrously powerful, luxurious and expensive. Naturally there were a few everyday offerings to roam around as well, plus some striking concept vehicles, but the stars were without question from the supercar fraternity. We pick our favourites from this year's extensive jaw-droppers. 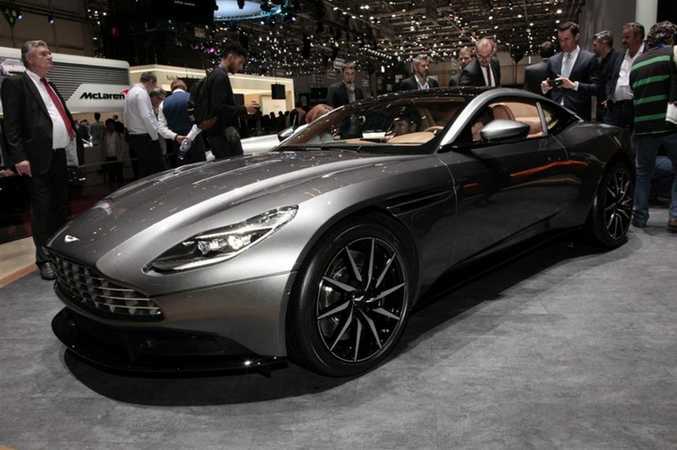 Aston Martin DB11 at the 2016 Geneva Motor Show. Photo: Contributed. The car Aston says is its first to launch under its "Second Century" plan, and its most significant since the DB9 of 2003. The sizeable DB11 features a new 5.2-litre twin-turbo V12 offering 447kW and 700Nm, will crack 200mph (322kmh) and hits 100kmh in 3.9 seconds. It also looks quite delicious. Abarth 124 Rally at the 2016 Geneva Motor Show. Photo: Contributed. 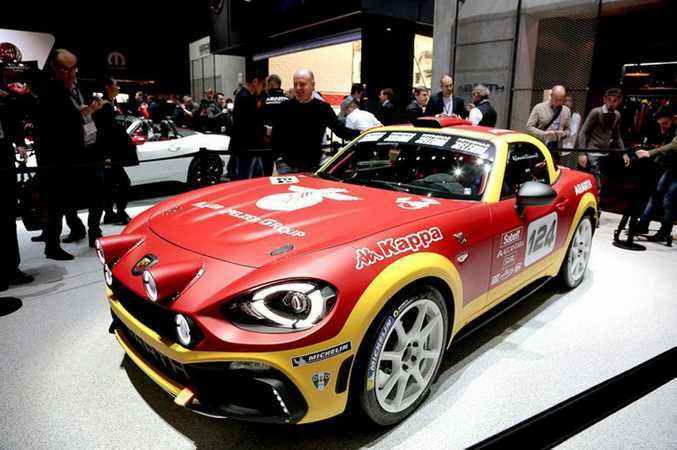 A prototype based on the new Abarth 124 Spider, developed by the Abarth Racing Team with rear-wheel drive, 224kW 1.8-litre turbo engine and homologated for the FIA R-GT category. Much fun then. Dressing it in the same livery as the original Abarth 124 Rally of the mid-1970s does it no harm either. 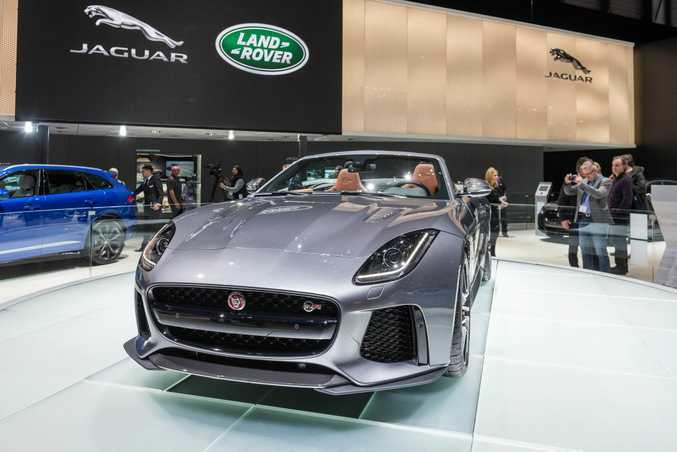 Jaguar F-Type SVR at the 2016 Geneva Motor Show. Photo: Contributed. Jag joins the 200mph (322kmh) club with the SVR version of the F-Type. Available as a coupe and convertible, the 423kW 5.0-litre supercharged V8 helps propel the tin top version of the Brit bruiser to 100kmh in 3.7-seconds. Coming to Australia in the third quarter of 2016, you'll need $289,590 for the coupe and $308,470 the convertible. 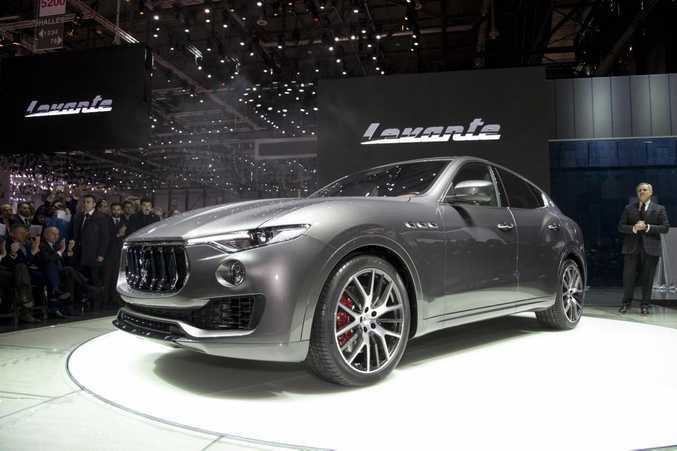 So another sports car company enters the SUV fray. Maserati's all-wheel-drive effort is sure to be luxury-filled, quick and very capable, but its looks are best described as challenging. But as Bentley's Bentayga has proved, just build it and they will come. 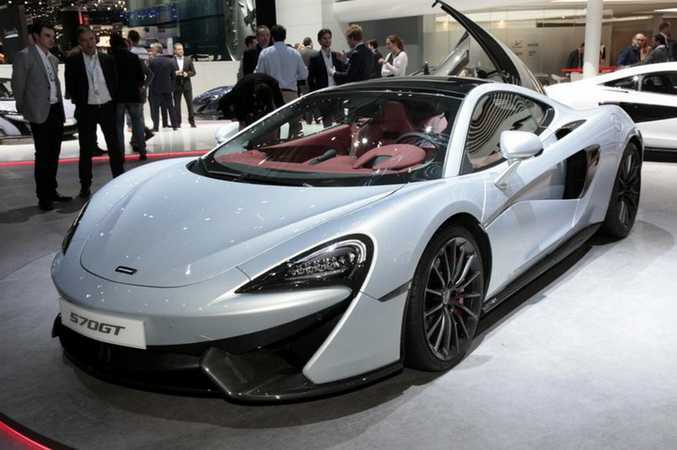 McLaren 570GT at the 2016 Geneva Motor Show. Photo: Contributed. Described as the most luxurious and refined of any McLaren to date, the 570GT also claims to be a more practical supercar with an additional 220-litres of storage thanks to a side-opening rear glass hatch. The 3.8-litre twin-turbo V8's 419kW and 600Nm delivered through the rear wheels and a 328kmh top speed is kinda nice too. Porsche 911R at the 2016 Geneva Motor Show. Photo: Contributed. One for the 911 purists. The famous "R" badge returns with the model featuring the brand's GT3 RS 4.0-litre 373kW engine, a manual gearbox, no silly rear wing and weight saving measures to make it the lightest (at 1370kg) in the current 991 range. 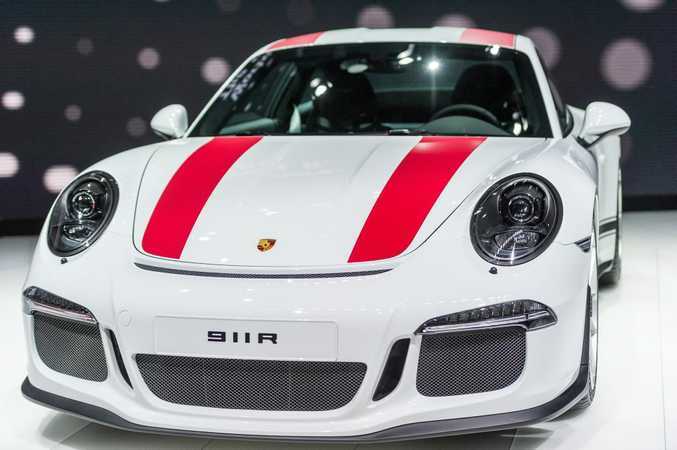 A GT3 front bumper and red stripes are your less-than-subtle styling additions on the 911 R, of which only 991 will be made. Instant classic. 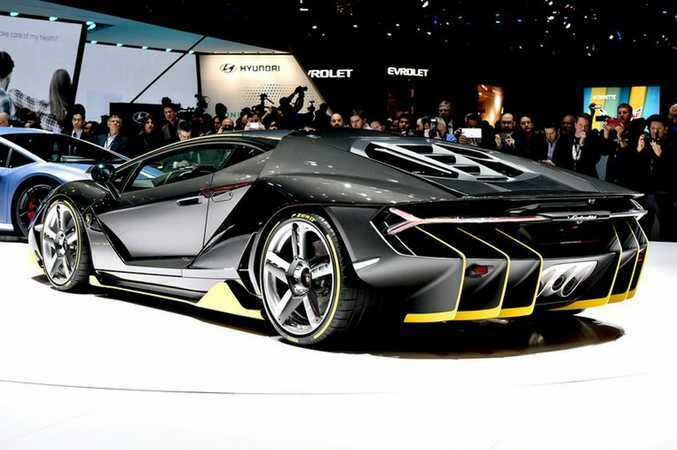 Lamborghini Centenario at the 2016 Geneva Motor Show. Photo: Contributed. Lambo makes design statements like no other, and the bare carbon fibre Centenario takes things to almost comical levels. Nothing funny about the performance and price though. Not a turbo to be found, yet the V12 still produces 574kW - more than any other Lamborghini production car ever - while it hits 100kmh in 2.8 seconds and has a top speed of over 350kmh. All 40 models are already sold out - 20 coupes and 20 roadsters - costing 1.75m euros ($2.6 million). Bad luck, shoppers. 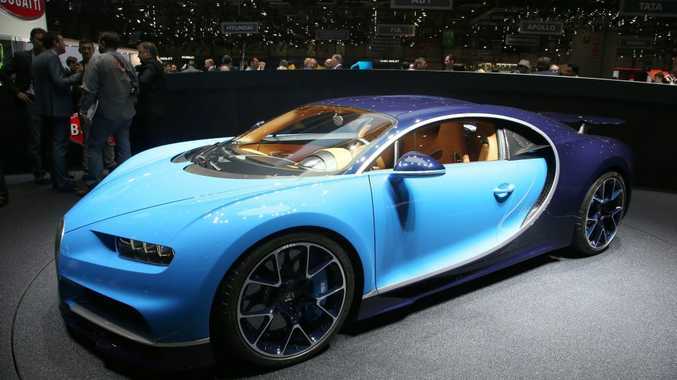 Bugatti Chiron at the 2016 Geneva Motor Show. Photo: Contributed. Now to the star of the show. Exactly how do you follow the Bugatti Veyron? With this. An 8.0-litre W16 quad-turbocharged monster boasting 1103kW and 1600Nm they're calling the Chiron. 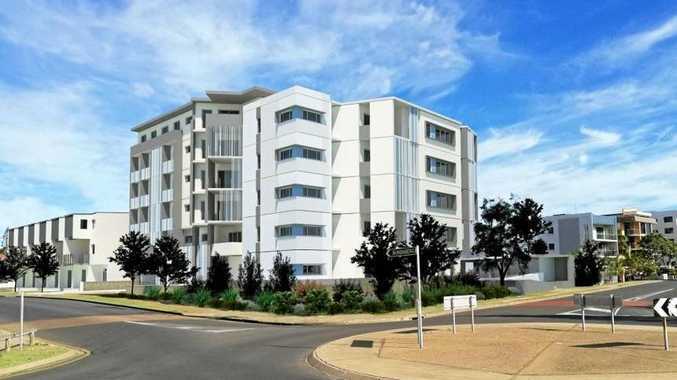 Price is 2.4 million euros, or around $3.6 million in our money. 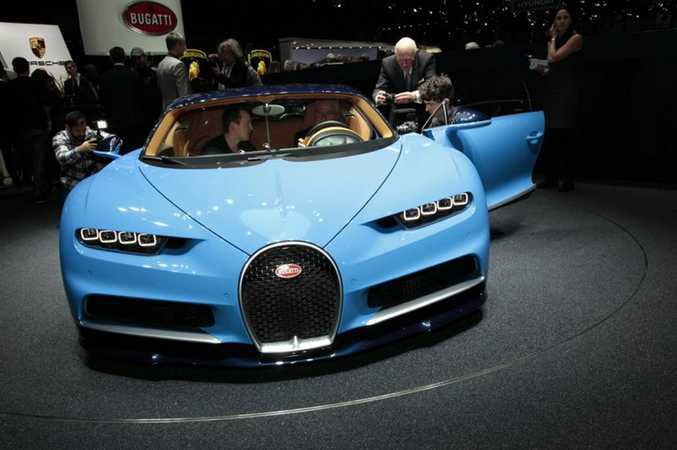 It may weigh the best part of two-tonnes, but Bugatti says the Chiron will sprint to 100kmh in under 2.5 seconds and on to an electronically limited 420kmh. Apparently deposits have already been taken for 170 examples. 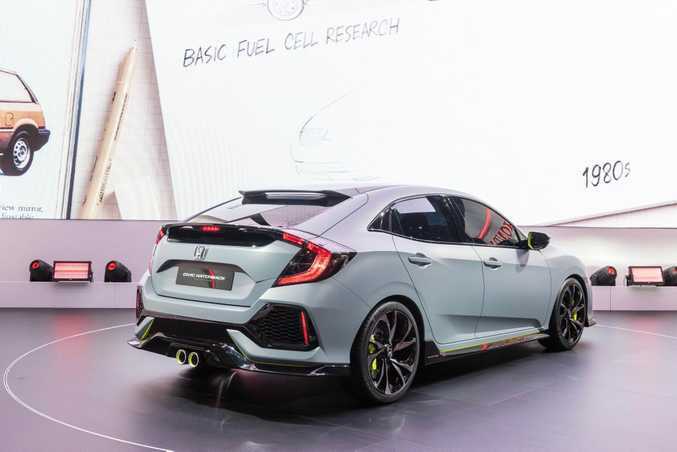 The Honda Civic Hatch Prototype featured at the 2016 Geneva Motor Show. The tenth-generation Civic Hatch will launch in Europe in April 2017, and this prototype gives strong clues to its direction. The all-new Civic sedan arrives in Australia mid this year, followed by the Hatch and a Type R version. Honda says the new model will be the sportiest ever; wider lower and longer than the current generation. 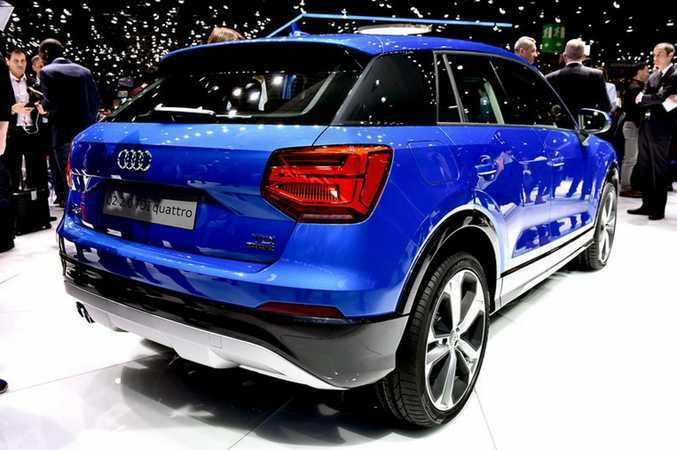 Audi Q2 at the 2016 Geneva Motor Show. Photo: Contributed. Audi goes niche-filling once more, showing its mini SUV Q2, which actually doesn't look as much like the rest of the Q range as expected. If that's a good or bad thing is subjective. Aimed at younger buyers, the Q2 is around 200mm shorter than its Q3 bigger brother and will be available in front- or all-wheel-drive. We should see it go on sale in Australia in early 2017. 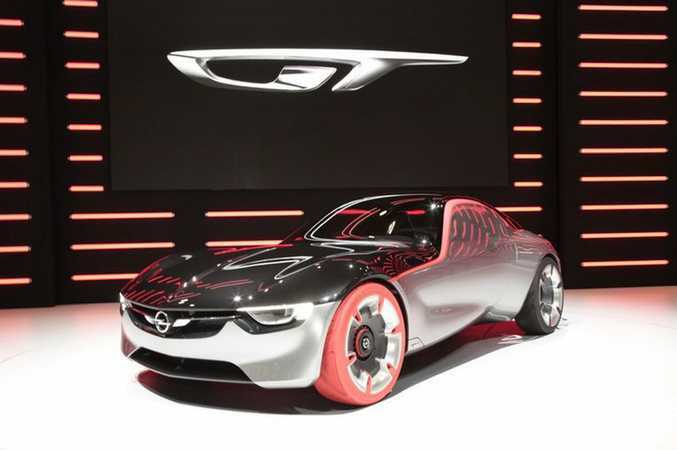 Opel GT Concept at the 2016 Geneva Motor Show. Photo: Contributed. Now here's one we'd like to see sporting a Holden badge in the future. This Australian-built concept would be the bargain small sports car to target the likes of Mazda's MX-5 and Toyota's 86, even if the Geneva show car featured only a 1.0-litre turbo three-cylinder. But when it looks this good, who cares? 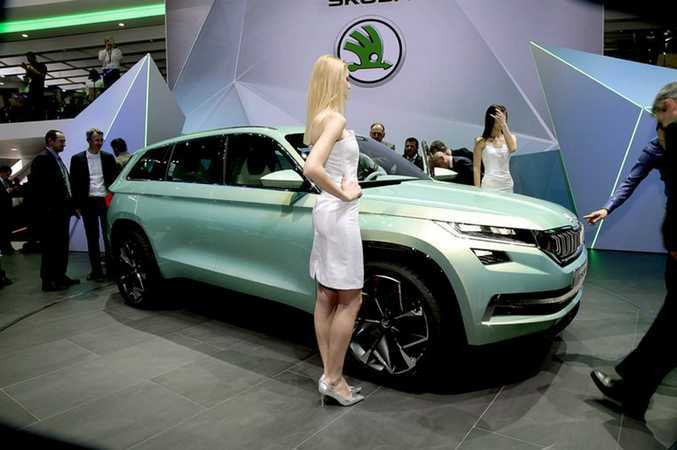 Skoda Concept SUV at the 2016 Geneva Motor Show. Photo: Contributed. Previewing the incoming seven-seat SUV - likely to be called Kodiak when it goes on sale next year - this was the first time the VW Touareg-sized Skoda SUV was seen in the metal. Expect this to be the first of a range of Skoda SUVs. Tata Kite 5 at the 2016 Geneva Motor Show. Photo: Contributed. Okay, so it wasn't all supercars at Geneva. Cruelly placed alongside the Lamborghini and Porsche stands was Indian effort Tata. 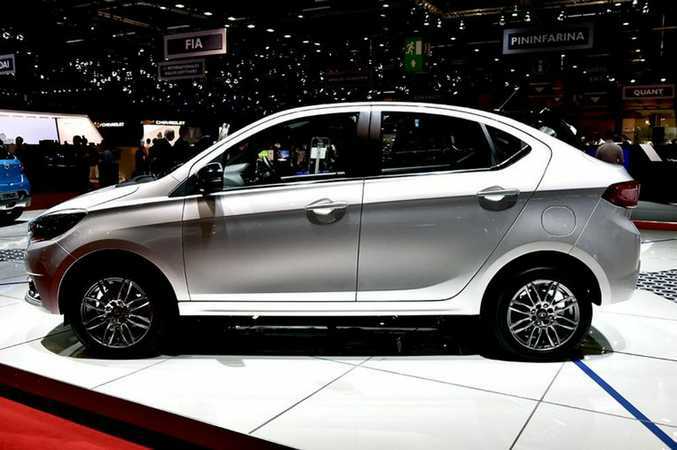 This is its new Kite 5 - a four-door small sedan, no doubt economical, but Tata made the mistake of calling it "sporty" to appeal to the younger crew.